We bring forth to our clients a vast gamut of Laboratory Burners. These products are available with a base and a single hose unit. The vertical direction flame of these products are designed to suit several specific laboratory tests. 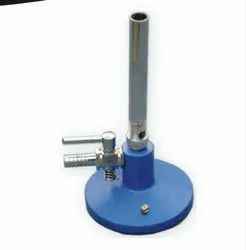 Backed by rich industry experience, we are engaged in offering an excellent range of Propane Gas Bunsen Burner. The offered range uses a device for combining a flammable gas with controlled amounts of air before ignition. Our range produces a hotter flame than would be possible that use the ambient air and gas alone. 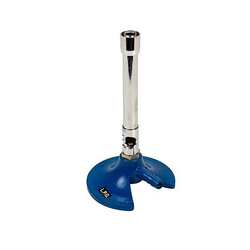 A) Bunsen burner :- with air regulator mounted on cast iron base with brass pipe, good quality.